We all know that a blog's design is a first thing which a blogger thinks of because it's not only for the blogger but users must also show some interest in the design of the blog. After searching on the Internet I cam to know about many new and very responsive templates which are not only fast but also attractive. The Charity Mag is the first template which we have dug out for you. It is completely responsive and SEO friendly template. It is specially designed for charitable organization or Non-governmental organizations. So, if you want to give your charity or NGO blog a new look then you must go for Charity Mag. 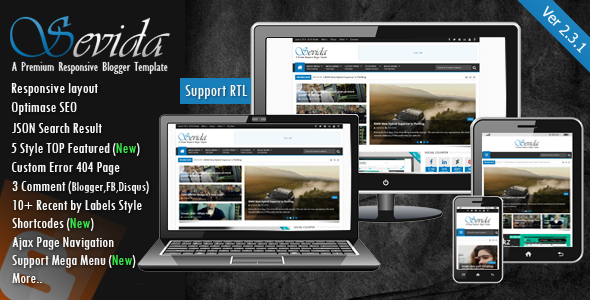 It is 100% responsive template with featured slider. It has custom home-page which gives a professional look to your blog. Above all, it is complete SEO-Optimized template which will help you to rank better in search engines. 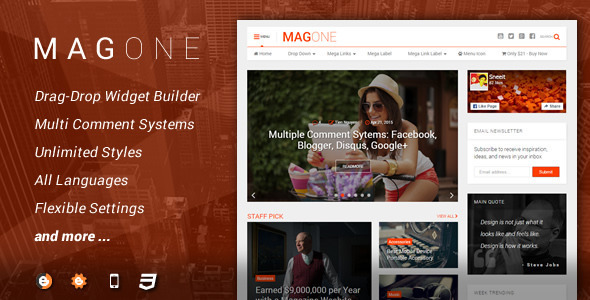 The MagOne is another one of the best and awesome blogger template. It is recently released and loved by many of the users. It has really an appealing and professional design which is surely going to stick your readers. It is specially designed for tech blogs with magazine style. Additionally, you can either grab it for Magazine or for blogging; it is available for both users. The awesome thing about this template is that they have integrated the multiple comment system which will help your readers to approach you easily from any of their convenient platform. 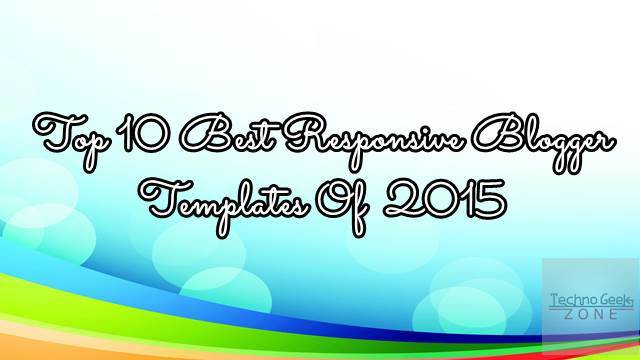 It is 100% responsive and SEO friendly template. I would again say that it is the complete professional pack for your blog. However, to grab this you are supposed to pay $21 which is comparatively nothing. The Sevida is one of the most popular blogger templates which is being used the most. It is SEO Friendly, responsive and user-friendly premium blogger template. You are supposed to pay $21 for grabbing this awesome template for your blog, but believe me that in front of its feature $21 are nothing. The Sevida is available in unlimited colors and background images. You may grab the copy of your choice. And, they have also added the support for RTL language. The Balance responsive blogger template is one of the lightest and cleanest blogger templates. As it is quite clear with its name that it is SEO friendly too. This template is not so new but yet we have added it here as it is the best one for sure and most loved too. 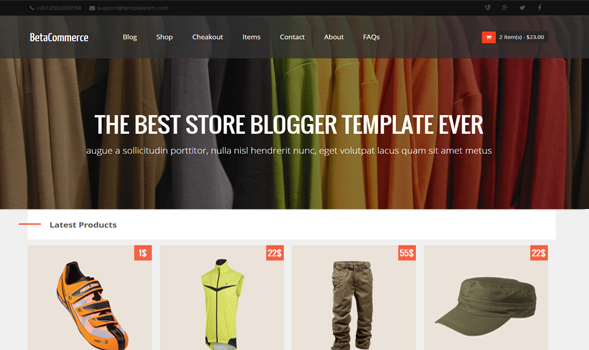 It is completely responsive and optimized blogger template. This template can be used for technology, blogging, news and for other purposes. It is really quite simple and clean template. So, if you like clean and simple templates then this is for you. 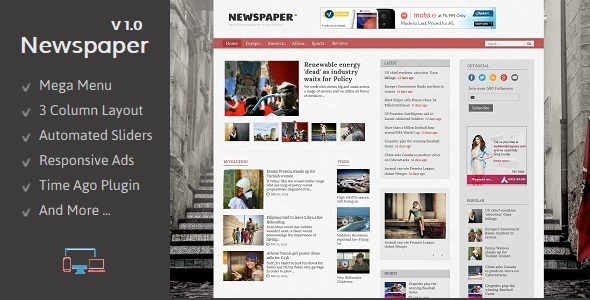 The Newspaper is another premium blogger template with some of the best features which every template should have. It has included some of the new features which were always demanded by bloggers such as; mega menu, Time Ago Support and featured slider. It is fully responsive blogger template and the awesome thing is that it include responsive adsense ad slots too which will help you to monetize your blog on both big and small screens. They have also added the video support. In order to avail these awesome features and get this template; you need to pay $21. 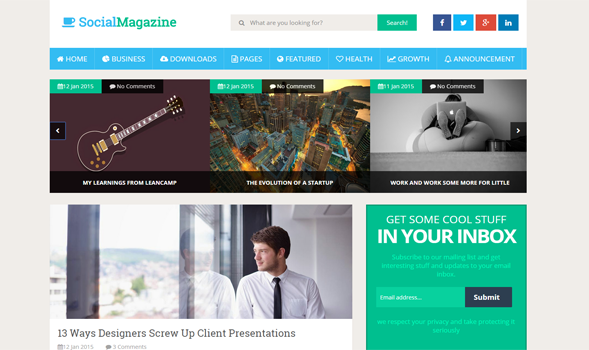 Techism is another blogger template which is specially designed for tech blogging and apart from that you may use it for general life stuffs as it is magazine style. It is completely responsive blogger template. 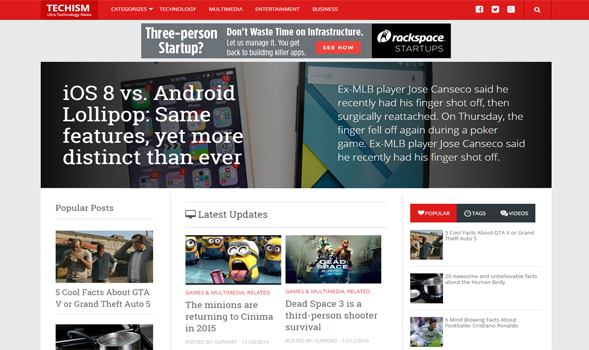 The design of this template is inspired from Mashable and The Next Web. Furthermore, it is completely optimized as well. It is designed by Templatism team and they have included robust framework in it which help your blog to rank well in the search engine. They have included some of the pre-required widgets already which means you don’t need to add those widgets manually now. The Social Mag is based on UI interface. This template is completely social media friendly. The developers have more focused on social media while developing this template. It would be really great to have this template for your blog to boost your social media appearance. Social Mag is also fully responsive, SMO and SEO friendly template. It is built with futuristic concepts and it would be really awesome to bestow this awesome design on your blog. 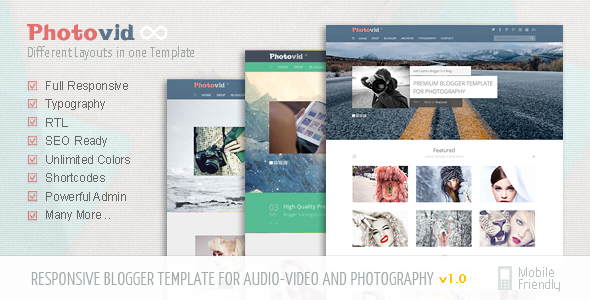 PhotoVid is a new released template with an appealing design. It is full-pack template with awesome features. It is fully responsive, SEO friendly and user-friendly template. It includes; sliders, ad slots, social media buttons, appealing fonts and much more. You must give it a try. BetaCommerce is one of the awesome choices for your online stores. If you run any online store or want to run one then you should use BetaCommerce as it is really appealing and awesome. It is really an easy to handle template with great number of customization tools. They have included very interesting showcase which can be used for any type of product to sell. It is fully responsive and SEO friendly too. It has support for PayPal payment method; moreover, they have included very smart and secure payment forms which take the complete details of buyer. Furthermore, they have included very awesome widgets as well. 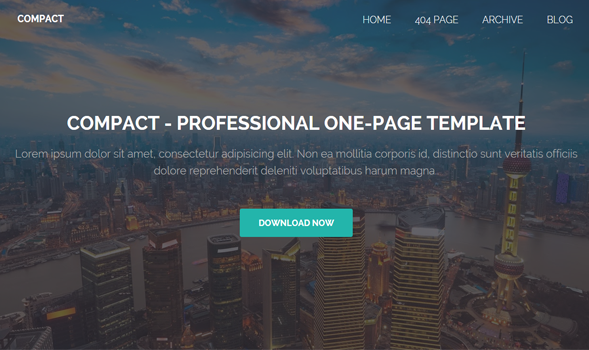 The Compact is the last template on our list which is one-page portfolio blogger template. It is specially designed for portfolio sites. It is fully responsive, SEO friendly and most advanced portfolio template. Furthermore, they have also included the custom 404 page with this template which gives it professional look. If you are having any idea or any new good template then feel free to tell us about it in the comments.